The 80s EPs are virtual versions of 4 iconic 80s EP sounds from the Yamaha DX7 Mark II, each counting two times 1144 24bit/48kHz samples for the Pro versions. 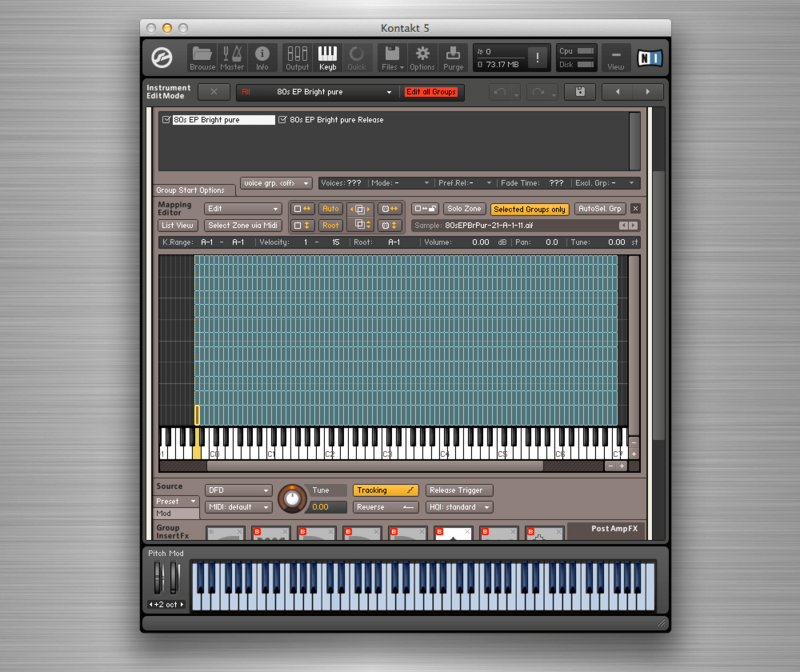 88 keys sampled in 12 velocity layers. There are three more of them: 80s EP Classic, FM and Warm. No software emulation beats the expressiveness and bite of the real thing. I played around two thousand EP presets and customized 32 of my favourites on my TX802/DX7II and then sampled 4 like all the virtual Wurlitzers and Rhodes out there: extremely detailed and programmed to behave exactly like the original. 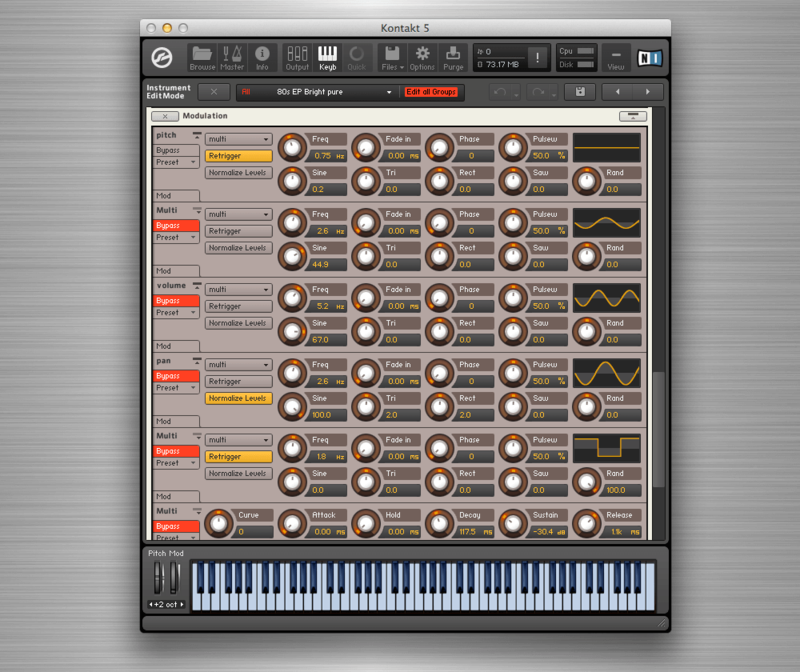 “Bright” is based on the famous “Fulltines” preset from the DX7 Mark II. It is heard in dozens of hit ballads. 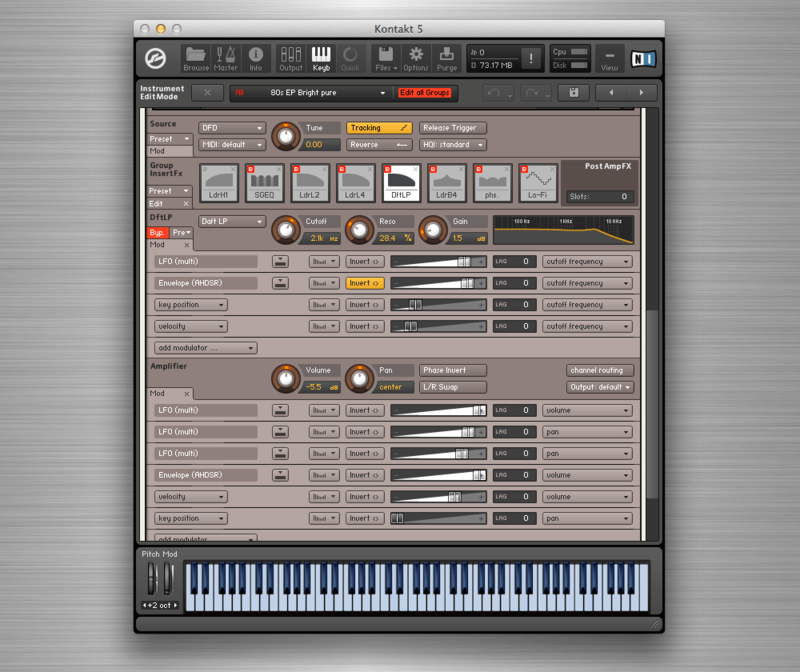 Requires the full version of Kontakt 3.5 or higher. 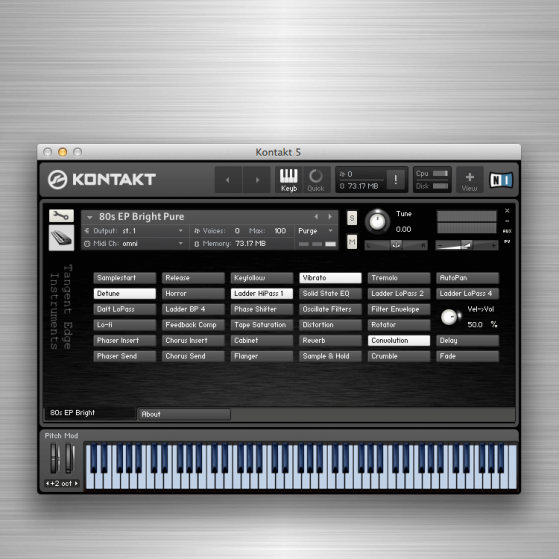 The 80s EPs will only work for 30 minutes in the free Kontakt Player. 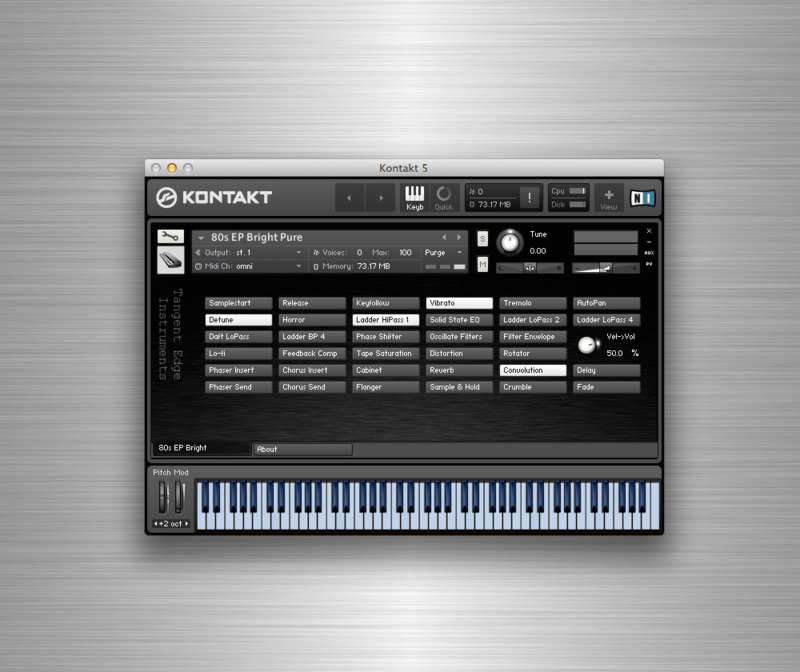 If you already have the 140 sample version for Kontakt, there’s no need to buy this one, just buy the upgrade for $15 and add the 80s EP Bright 140 folder to the 80s EP Bright Pro folder. 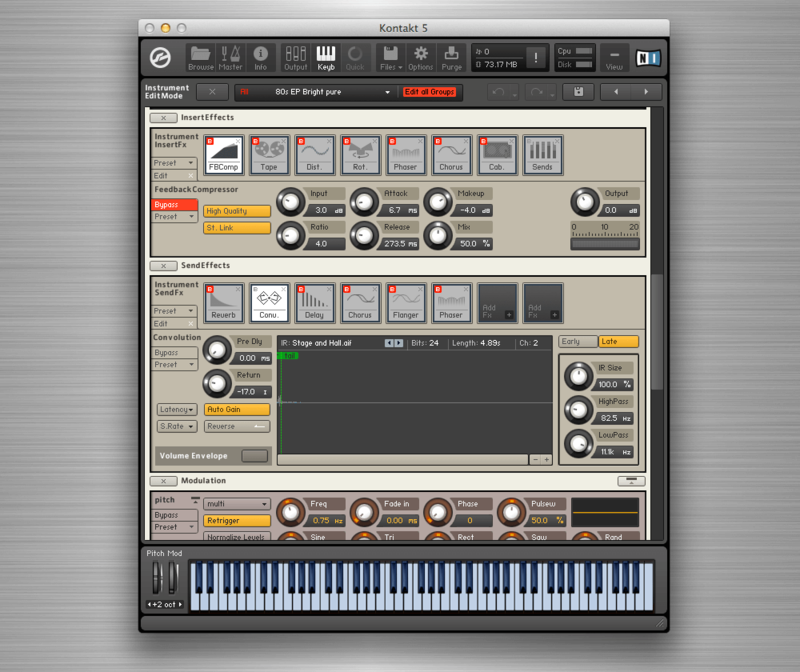 In the demo below you can hear the same midi file rendered by by TX802 module, the Pure version for Kontakt, the Coloured version, the 140 version and finally FM8 using the same preset. In the video you can see what the instrument is capable of. Also, download the free 80s EP FM 140, it has the same engine.